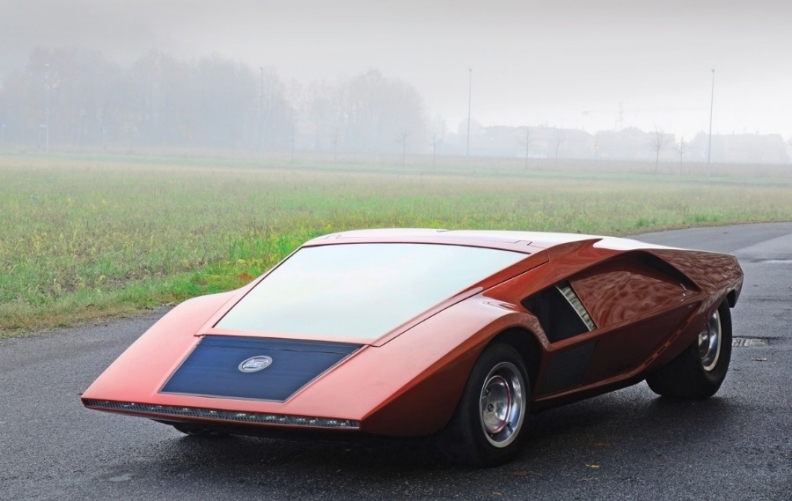 The Lancia Stratos HF Zero concept could sell for up to 1.8 million euros. TURIN – Six concept cars created by Italian design house Bertone for Lamborghini, Lancia and Chevrolet will be auctioned next month on the orders of a bankruptcy court. The 1967 Lamborghini Marzal prototype, which was driven by Prince Rainier and Princess Grace at the start of 1967 Monaco Grand Prix. 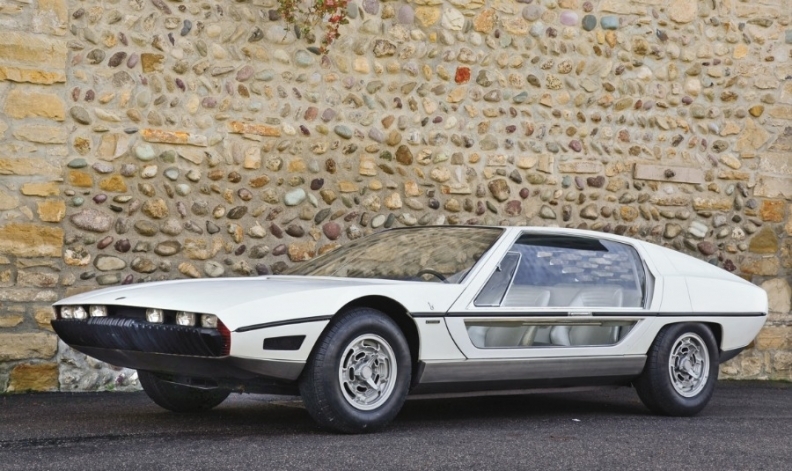 The car, which is well known for its gullwing doors, later was built as the Espada. The Lancia Stratos HF Zero, a mid-engine car that went into production as the Lancia Stratos, which dominated the World Rally Championships in the 1970s. Both cars were created by Italian car designer Marcello Gandini, who worked at Bertone from 1965 to 1980. The third milestone car is the Chevrolet Testudo, created by Giorgetto Giugiaro. The concept has a transparent one-piece windscreen and roof and was driven by Giugiaro from Turin to its debut at the 1973 Geneva auto show. Bids between 500,000 euros and 800,000 euros are being sought for the car. The other three concepts have less historical relevance, therefore they have lower starting prices. The Chevrolet Testudo had its debut at the 1973 Geneva auto show. The 1974 Lamborghini Bravo and the 1980 Lamborghini Athon are both expected to sell for between 150,000 euros and 220,000 euros. The 1978 Lancia Sibilo is is expected to sell for between 60,000 euros and 100,000 euros. The sale comes after the Bertone Group went into a court-supervised liquidation in 2008. Fiat S.p.A. bought Bertone's contract manufacturing plant in 2009. The factory is scheduled to resume production at the end of 2012, building mid-sized and large sedans for Maserati. The Lamborghini Marzal prototype was driven by Prince Rainier and Princess Grace at the start of 1967 Monaco Grand Prix. Lilli Bertone, the widow of company founder Nuccio Bertone, saved the Stile Bertone design company from bankruptcy and in 2009 bought back the Bertone trademark and historic records for 3.5 million euros. She also made a 4.56 million euros offer for the Bertone Group museum and its 90 cars but the bankruptcy court asked for 6 million euros. 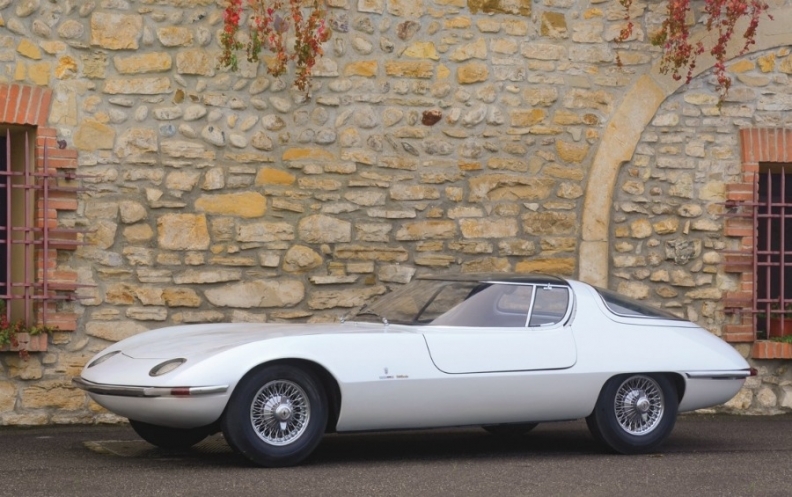 Lilli Bertone bought 84 of the museum's concept cars at their book value of 2.4 million euros. The court is selling off the remaining six cars. RM Auctions, a British auction house that specializes in high-end automobile auctions, will auction the cars at the Concorso d'Eleganza Villa d'Este in Como, Italy, on May 21.